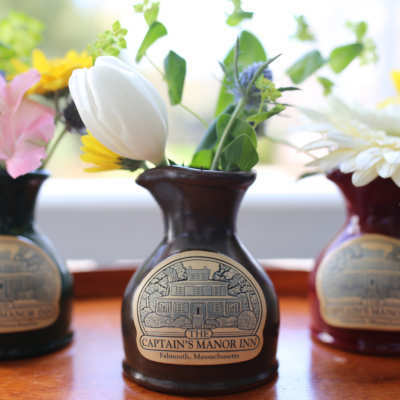 The Captain’s Manor Inn tankard is an 18 oz custom hand crafted tankard that is a guest favorite for taking home and using to enjoy their favorite brew. 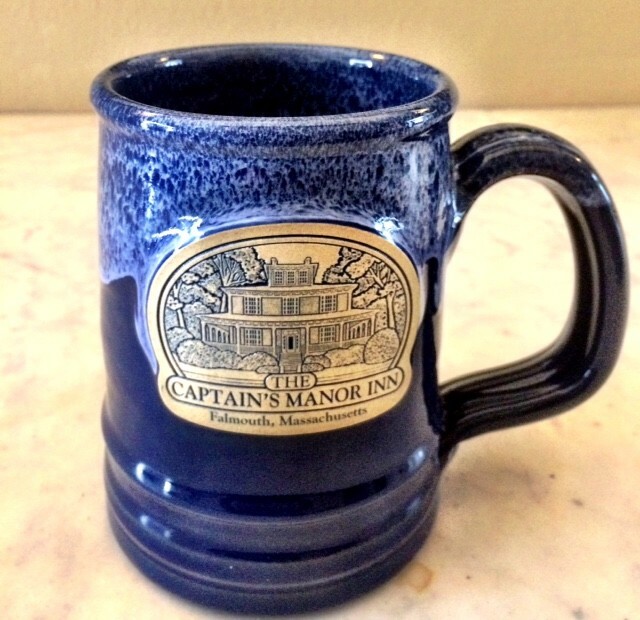 A great trick is to keep your tankard in the freezer until the big game and then pull it out to fill with whatever beer you crave. 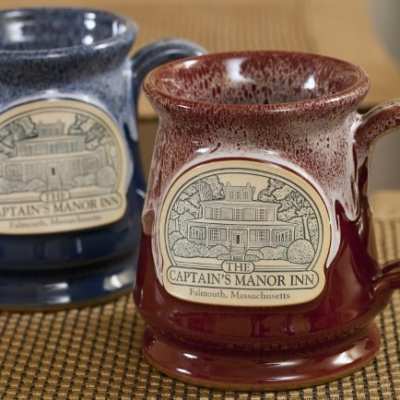 In addition to the tankard we are happy to offer hand crafted mugs in several colors and mini bud vases as well in 4 different colors. 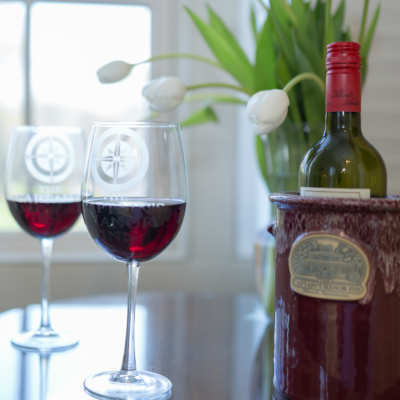 For something unique you could purchase the wine chiller for your favorite wine or many use this special pottery item to hold their kitchen utensils.